I appreciate the love and care that is shared by the families in Africa and many countries of the planet. 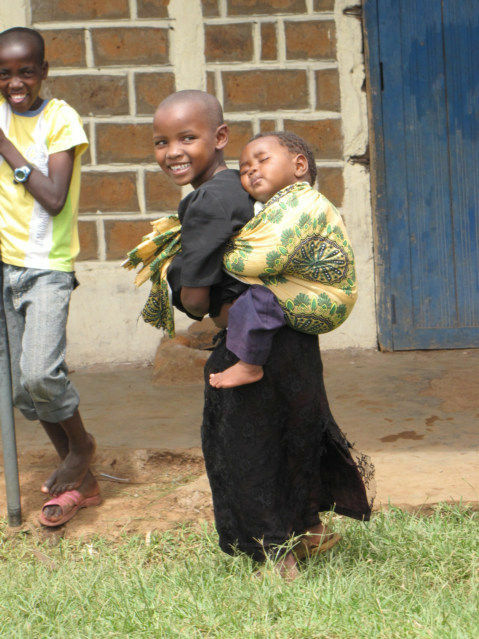 It saddens me to know that often in my own country, the USA; children would be whining and whinging if their mother or father asked them to carry their brother or sister on their back. Yes, a baby stroller is easier and maybe even safer, however somehow the babies carried on the back are quiet and content. When I hear a baby crying, I now look around to check the country, I want to know how the baby is being carried. Babies in the Western world or developed world cry about 10 times more than the babies in the underdeveloped countries do.